I guess it helps that I’ve never played any of the previous games. Maybe if I would have played some of them I wouldn’t like this game as much. I can respect your opinion, especially coming from someone who’s played all the games. Honestly, makes me really want to try the other games if this really is the worst one. As a second opinion I thought it was great and have liked them all pretty equally. I'm not sure whether to be excited that we could finally get Baten Kaitos 3, or depressed that we didn't get it years ago. Uffff, you're killing me, Spike Chunsoft. Exclusive content for both versions? The collector in me can't settle for just one, not with exclusive content as an incentive. The trophy-hunter in me has to go with the PS4 version, as Linear Bounded Phenogram should have a full trophy list with separate platinum. Same here. I also have the other collectors edition through the Vita so might as well keep with the same company. What is this Linear Bounded Phenogram that’s exclusive to the PS4 version? Is it like a whole separate game? I’ve never heard of it and only thought there was Steins Gate and Steins Gate 0. Well, I’m sold now. I had no intention to buy this, because I thought it was just Steins Gate and 0 remastered with anime graphics. I was content with having both on Vita with original graphics, but they had to go and add something like that. Oh well, I’m pretty excited about new content. 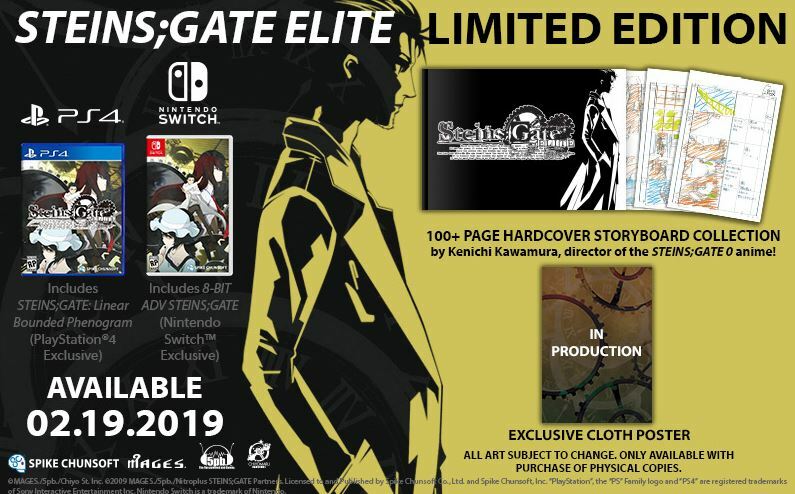 Just a heads up on the exclusives, The PS4 is getting an HD remaster of the 2013 game "Linear Bounded Phenogram"
While the Switch version is getting a newly developed game, Stein's;Gate 8-bit, which is apparently an adventure game done in an old school famicom style. The tweet about the Steins;Gate collector’s edition now has a response with Amazon preorder links for both systems. 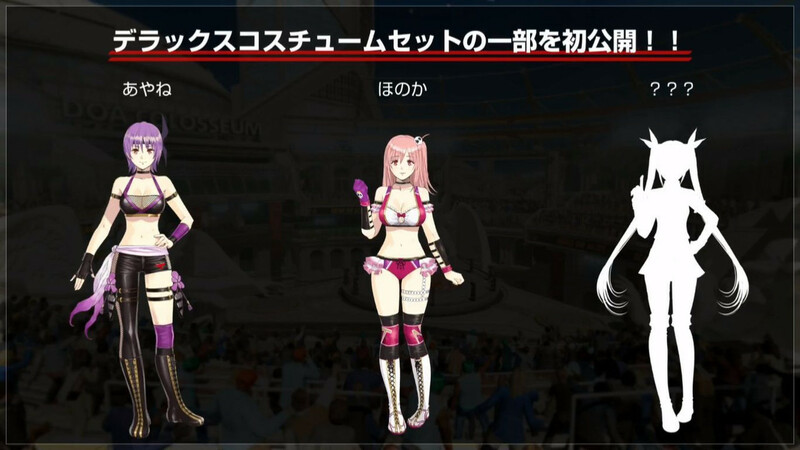 The game designers who specialize in making character outfits (like the people who designed all the costumes in Lighting Returns) will never be out of work as long as there are new DOA titles. 10 % off fanatical bundles coupon code. Not sure if you can use it on valkyria chronicles 4 or not but they already have that 20% off so assuming you can that would make it 30% off basically. Thanks for reminding me i have to go get my VC4 Memoirs Edition. Too bad they didnt have a standing figure. My VC1 collectors edition had Alicia and the Edelweiss. Not on my radar, but I might trying it out. Doubt I'll play long, since I don't really like gachas (though I'm stuck in one horrible one). 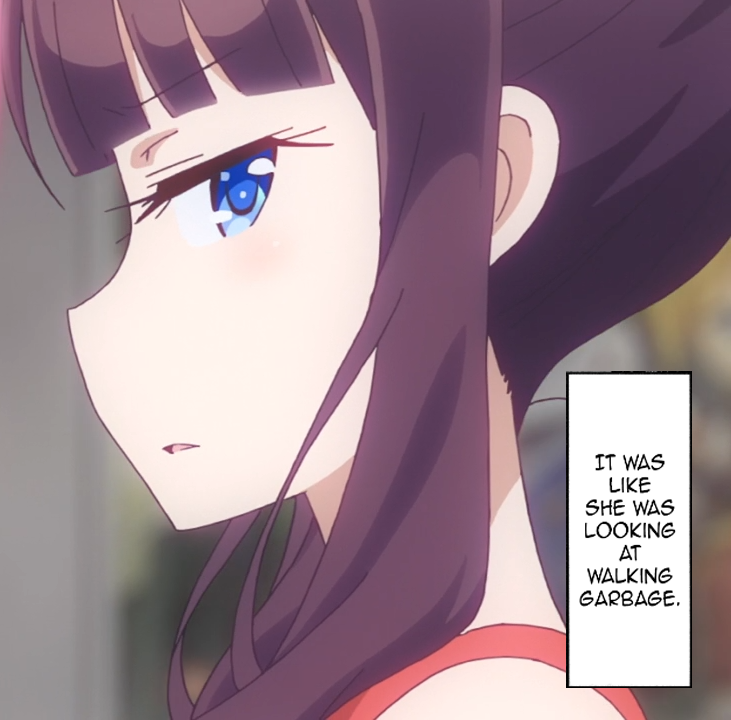 I've played enough gacha games where I play for like 1-2 hours and then forget about them. Likely will do the same for this one! I'm really quite happy to see that Yokai Watch 3 for the 3DS will be coming stateside finally! February is only a little over 4 months away. The only thread relevant title in October will really be 2064 Read Only Memories. Man, I finally played a western game for a change and my brain kept telling me that's it's an alternate P4 universe where Yoskue is dating Rise and has spider powers. You telling me Laura Bailey is in Spiderman?